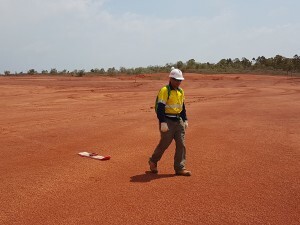 Groundradar has been trialing a new 100 MHz monostatic GPR which is designed to be extremely small and foldable for transport. The concept uses a real-time sampling receiver coupled with bow-tie antennas to achieve penetration to 10 m in suitable environments. Testing has been conducted in Jamaica, Brazil and on multiple projects in Australia.